If you have never had an opportunity to travel to the exquisite desert lands of Jodhpur, Rajasthan, then you have a chance to taste its colour and vibrancy this October in London at the exhibition entitled, The Infinite Lightness of Being. 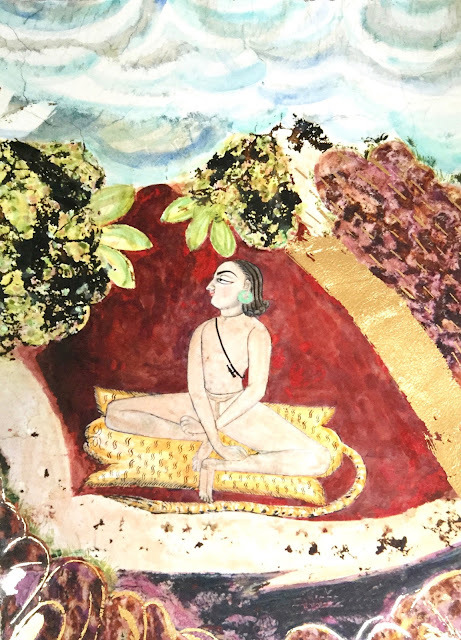 Artist Katherine Virgils draws upon imagery of the Nath Yogis and the delicate miniature paintings of the Mahamandir, which was a temple built by the Maharaja Man Singh (1803 - 43) for his Nath guru. This temple was the legacy of the Maharaja Man Singh whose patronage of the Naths in the 1830s led to a total revision of artistic impression. These miniature figures are of historical significance because they attest to a complex āsana practice in existence in eighteenth-century Rajasthan. 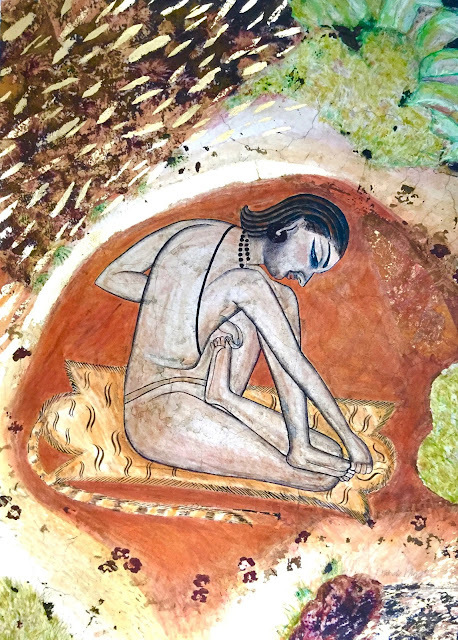 Many of the āsanas are also described and illustrated in manuscripts of yoga texts of the period. Katherine's work has driven a cultural and historical resurgence in Jodhpur this year. In January, she was invited by the current Maharaja Gaj Singh to set up her studio at the top of the magnificent Mehrangahr Fort and hold an exhibition there. 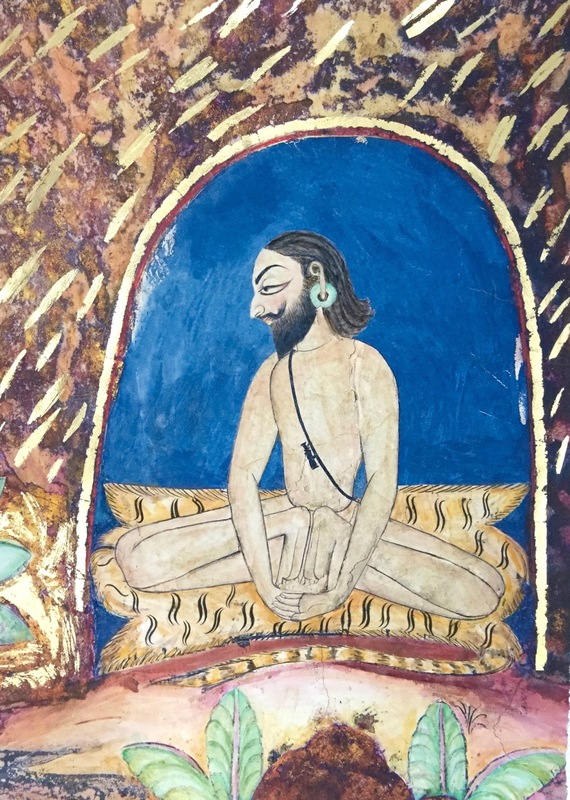 The Mehrangahr Fort holds one of the world's most comprehensive collections of yoga manuscripts, many of which are being studied as part of the Haṭha Yoga Project at SOAS, University of London. The show at the Rebecca Hossack Art Gallery is the first time this specific yogic imagery has been seen in London and incorporates a lecture on yoga and its heritage by Dr. James Mallinson (Principal Investigator for the Haṭha Yoga Project), to be held on the 5th October at the gallery, from 6.30pm.